Recently we have received requests for large groups that want the Favela Experience but also want to see other parts of the city. Here are examples of other tour itineraries we can offer . 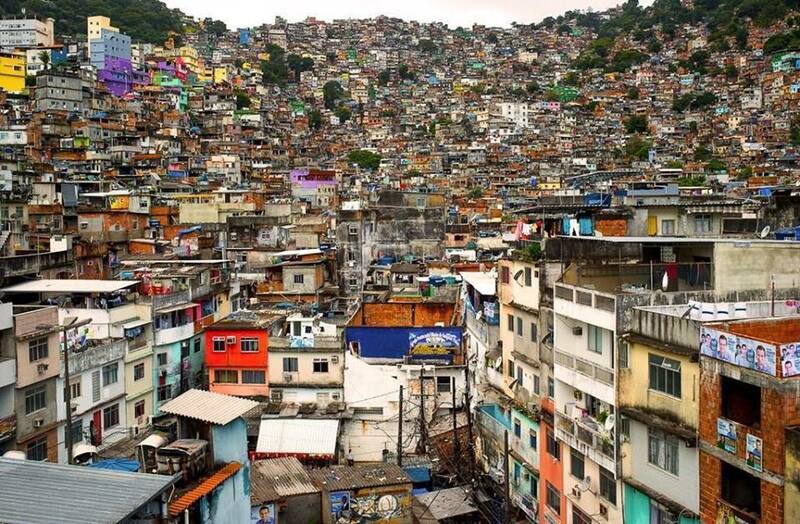 to see other parts of Rio. **If you use our services for these full day tours, a discount will be given for the favela tour. * Sugar Loaf is one of the best views in the city to watch the sunset over the water. Rental of 16 seater Van & Driver with English speaking tour guide . COST: 1300 reais a day. This does NOT include the cost for Favela visit, Jardim Botanico, Christ Statue, MCA Niteroi or Sugar Loaf. The times given for each location and time spent there can vary according to groups request and traffic in the city. These tours are for up to 7 in your group! Your journey at the beginning of your holiday, as well as making it to your hotel or villa when you arrive at your destination needn't be as difficult as you think. I Provide a high quality service to the customers by traveling with them and making their stay pleasant in Rio de Janeiro. I offer 7-8 hours Private Chauffeur tours. My services are available for visiting not only the most wanted attractions around Rio de Janeiro but also other tours around Rio too. Here are some examples of my tours. The attractions can be replaced by any other. Please contact me about pricing. We start the tour with the famous Corcovado mountain where not just Rio de Janeiro’s protective Christo is found but there is a 360-degree panoramic views that stretch for miles. Then we ride straight up to Pao de Acucar (Sugarloaf Mountain) but to reach the top of the mountain we need to take the the cable car from the Morro da Urca (Urca hill). After you can decide to have a self-service lunch by the Guaranabara Bay (Urca Grill) or one of the greatest restaurant in Santa Teresa (Aprazivel) or unmissable experience to try a great steak house, known as churrascaria rodízio (all-you-can-eat style), (Porcão) and best if you take one of the tables by the window. It features the Sugarloaf mountain in the background. After we visit the place where you can still see the Bondinho (Santa Teresa street car), Carioca aqueduct (Lapa arches) and the the famous Escadaria Selaron (Selaron steps). On our way to the legendary Sambadrome where samba dancers perform during Carnival we pass by the formidable batalhão de choque polícia (Riot police station). We start the tour with the Corcovado mountain, Christo and Sugarloaf Mountain. Or we start the morning with a little bit of exercise. Climbing up 696meters of Pedra Bonita. It is a easy trail (even children can do it), with steps where the inclination is not too high, so it isn't more difficult than climbing a staircase. 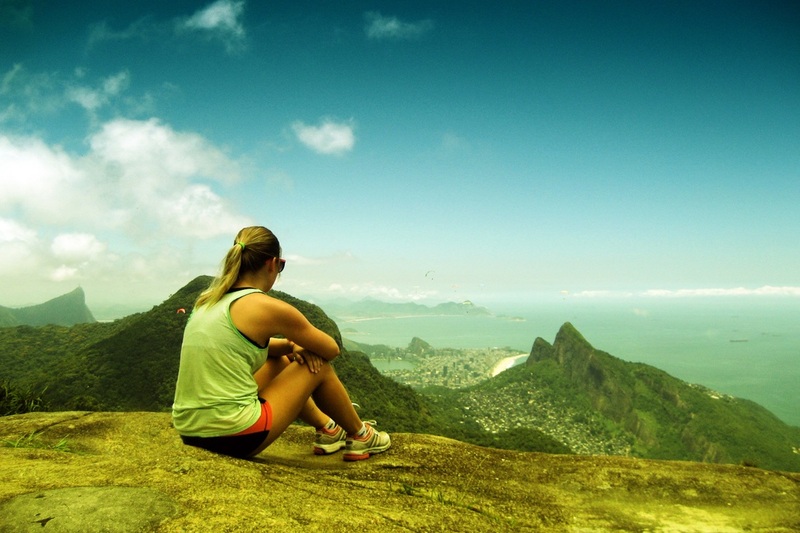 On the top, you have one of the most privileged views of the city of Rio de Janeiro: The Tijuca Forest, Rocinha (the biggest favela in Brazil), The beach of São Conrado (where the hang gliders land), Christ the Redeemer, Barra da Tijuca, Pão de Açucar, Pedra da Gávea (another great hike). A picnic also is great idea while you are enjoying the view and watching people jumping off the rock. Then take the way to the one of the most beautiful, and breathtaking places in Rio and Brazil which is completely different from the others. (I call the little amazonas). Lagoa da Tijuca which is in Barra da Tijuca. Where you can have lunch in the (The Cicero restaurant) by the Lake. Then we pop in a boat trip between islands and alligators and capybara what costs R$ 25 per/person and to be refreshing a bit you can splash too in the Emerald Barra da Tijuca coast (of course not with the alligators because they don't like the salty water). If you are visiting Rio de Janeiro, you must extend your visit to Niteroi and include Santa Cruz Fortress in your program. We start the tour with Rio-Niteroi bridge (13-km/8-mile long) the breathtaking and panoramic city across the bay, over the bridge, of Niteroi where we can have a beautiful view of the city of Rio from the Contemporary Art Museum designed by the famous Brazilian architect Oscar Niemeyer. On our way to the historical Fortaleza de Santa Cruz (Military checkpoints) where the view of the entrance to Guanabara Bay is unforgettable. Sugar Loaf Mountain on one side, Santa Cruz Fortress on the other, the vast Atlantic Ocean. We pass by the Parque da Cidade (City's park) offers the best view of the bay. If you never tried or tried and you love it now is time to skydiving. We'll drive down the park's mountain to have a lunch one of the best view restaurant in Niteroi (Cantinho da Pedra). Night out! The sightseeing over the night is unforgettable and fun even if is raining or not. Rio's nightlife can prove demanding for foreigners. It's not a bad idea to fit a siesta into your afternoon so you can weather the city's all-night, high-energy festivities. We'll start our visit at the Quebra Mar in Barra da Tijuca for taking beautiful pictures of the sunset. Then, we'll drive along Rio's beach side, to see the famous Leblon, Ipanema, Copacabana beaches, also stopping at the famous, and biggest favela (Rocinha), the Leblon view point and the night swimming point Arpoador. We would never expect tasting the cocktail by the pool in Copacabana Palace. Yes Copacabana Palace. Then, we go to one of the North Brazil world's Feira de São Cristóvão (An amazing source of Northeastern culture in Rio). From the day tour I’m planning to take you back to your hotel late afternoon or early evening, so you can enjoy the night out on your own in Rio if you still have energy. I also like to give tips to do on your own. I’m very flexible, so if you have any other plan or want to watch something particularly that we could fit in one day then I look forward to it. In a different trip Búzios in the paradise, the place what picture can’t give you back. Its more than 20 beaches, world-class galleries, clubs and boutiques draw an elite set of travellers. Surfers love Geriba Beach, snorkelers enjoy Ferruda, hip Ossos Beach offers upscale beachside cafes and laid-back Ilhabela Beach offers a more down-to-earth Buzios experience. My vehicle is a Chevrolet Zafira. Have wifi in the car. The car has 7 seats, but with 7 people no luggage. I make tours for max 6 guests. If it is an airport transfer to be comfortable only 4 Guests each with 2 small or 1 big luggage. Airport transfers and the city tours have different price structures. I hope you enjoy! For further information please give us call.